Rapid urbanization transforms permeable land into developed areas with predominantly impervious surfaces, significantly increasing stormwater runoff and exacerbating the risk of pluvial flooding. Green roofs provide an attractive strategy for increasing surface permeability by mimicking pre-development hydrologic functions and mitigating flood risks in compact cities. However, the potential of this strategy has not been rigorously assessed, despite advances in global stormwater management. This is mainly due to insufficient scientific knowledge of hydrologic performance and a lack of experimental studies of rainwater-harvesting capacity under specific climatic conditions. This study evaluated the hydrologic performance of a real-scale extensive green roof (EGR) constructed in a subtropical monsoon climate in Nanjing, China. Overall, the EGR showed considerable ability to retain rainfall (mean retention ~ 60%, accumulated retention ~ 30%), although retention performance varied from 11% to 100% depending on the rainfall event considered, and decreased with increasing rainfall. Event-based rainfall–runoff comparisons demonstrated that the EGR retained rainwater efficiently during the early stages of a rainfall event and significantly attenuated peak runoff flows compared to bare roofs. Statistical analysis showed that total rainfall depth, rainfall duration, and substrate layer moisture influenced the overall retention most strongly, but also the percentage retention and runoff depth, highlighting the impact of substrate properties in addition to rainfall characteristics on EGR hydrologic performance. 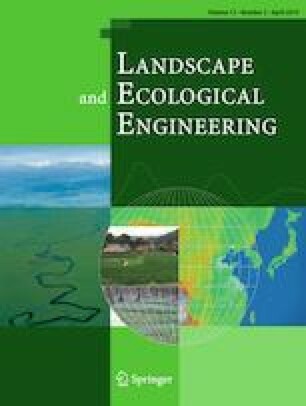 These findings provide new knowledge of and important insights into the hydrological performance of green roofs in subtropical monsoon climates, which could be used to guide EGR construction to increase landscape permeability, mitigate the risk of pluvial flooding, and enhance the climatic resilience of urban regions. The research was supported by the National Key R&D Program of China (2017YFC0505800), the National Natural Science Foundation of China (nos. 51878328, 31670470, 51478217) and the sponsorship of Jiangsu Oversea Research and Training Program for University Prominent Young and Middle-aged Teachers and Presidents. The authors thank Hailong Xu, Junsheng Li, Jiayu Chen, and all other members who helped to conduct the field surveys.